Tabula is doing an amazing job with most of the tables. 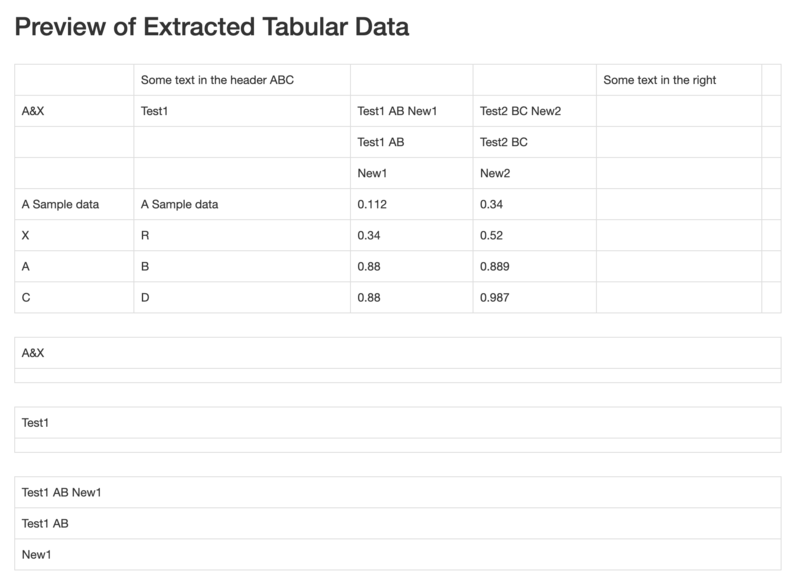 However, when there are merged cells, tabula is not able to identify them. Ideally I would need an output with rowspan and colspan details based on how the cells are merged. Any help/direction would be appreciated. Thanks for reporting. Yeah, that's a known limitation of the table extraction methods that we implemented. If selecting tables manually, try leaving the header row out of the selection.